Orienteering as a competitive sport is shaped by local strategies and decisions. 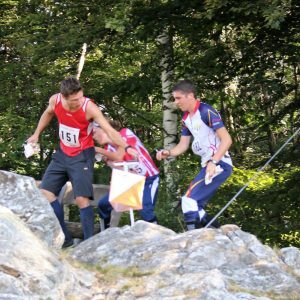 Since the beginning of the availability of GPS, movement data of professional orienteering events have been recorded and mostly visually analyzed. However, there is still few work that focuses on the quantitative analysis of the influence of context data such as terrain type, weather conditions, or elevation, on a runner’s performance in a professional setting. Apart from the influence of context data on the runner’s performance Luca will also quantitatively investigate the effect of the environment (e.g. the terrain, especially vegetation and landmarks) on orientation mistakes. The bachelor thesis will last until the end of the spring semester 2019.